The past three years have been an incredibly challenging time for the global oil and gas industry, including the North Sea. As oil prices dropped from a 2014 high of more than $100 per barrel to just $34, investor confidence deserted the sector and operators found themselves forced to lay off workforce, postpone and even cancel projects and urgently divest non-core assets to boost cash reserves. 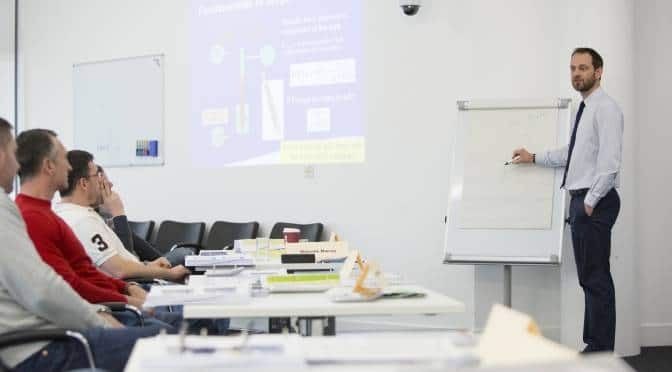 For Iain Hutchison, Managing Director of Perth-based Merlin ERD, one of the world’s leading technical authorities and training providers of extended reach drilling techniques, the recent downturn has been unprecedented. “It’s certainly been more severe than any previous downturn I’ve experienced. Understanding the cyclical nature of the industry has always been key to how we’ve managed the business. We’ve deliberately built Merlin without debt and tried to build financial resilience into our business model. With oil prices stabilising at around $50 per barrel over the past six months, confidence among national and international oil companies appears to be tentatively returning. A transformation in cost base has seen operating costs reduced by 30-40% across the industry. Capex and Opex reductions have been essential for the North Sea – considered a high cost basin in global terms. The business has recently supported drilling projects in New Zealand, Australia, Malaysia and Norway and has ongoing work in the Middle East, the east coast of Canada and South America. Following cut backs in staff, drillers are increasingly finding they lack the in-house expertise to efficiently deliver long lateral and extended reach drilling campaigns, so are turning to Merlin ERD to assist with training, competence and implementation. As activity levels recover and on the back of Merlin ERD’s successful expansion into the US last year with the opening of its new Houston office, the business is looking to the future with confidence. Merlin continues to build on its track record of working with and supporting Scottish universities including the University of Dundee, Robert Gordon University, and the University of Highlands and Islands. In August, the business announced it had developed an engineering intern programme, and recently welcomed its first recruit, Mohammed El-Deeb, a master degree graduate from Heriot Watt University’s school of Petroleum Engineering. “The best way to reduce the cost of each barrel produced from an asset is to produce more barrels,” adds Iain, “that’s what Merlin continues to help deliver from our Perth headquarters.